The question I am most commonly asked by my clients is: How do I make my foundation last all day/night? I’ll be honest, it takes a little time and a few products but the end result is absolutely worth it. Here is my step by step guide to achieving a long lasting, flawless foundation base. Start by using your usual face cleanser, make sure to remove all existing makeup. I recommend using a serum rather than a moisturiser, the reason for this is a serum penetrates the deeper layers of the skin and is absorbed faster. If you have extremely dry skin I would recommend using a light moisturiser for extra hydration. Primer is the one thing every girl needs to have in their makeup kit. Primer creates a layer between your skin and the foundation, this barrier helps to keep your skin hydrated and allows the foundation to glide over your skin. 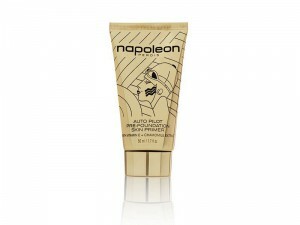 Our favourite primer is Napoleon Perdis Auto Pilot Pre Foundation Skin Primer, 50ml $59. What I love about this primer is the fact it has camomile extract which helps to calm the skin and minimise areas of redness. It also has vitamin E which is helps with hydration. Apply using your fingers and allow to dry for 30 seconds before continuing. This step is only necessary if you have large visible pores or areas of oily skin like the T-zone. 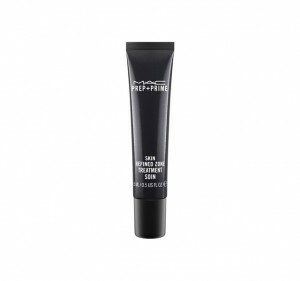 I like to use MAC Prep + Prime Skin Refined Zone, 15ml $35. This oil free product helps minimise visible pores and controls oil and shine. Apply using a small concealer brush or your fingers. Before choosing the right foundation for your skin you need to know your skin type, either dry, oily, normal or combination. Avoid matte finish foundations as this will give the skin a dehydrated appearance and will show any dryness on the surface of your complexion. NARS Sheer Glow Foundation $71 is nourishing, it brightens and evens out skin tone and provides all day coverage. It is the opposite for oily skin. Avoid hydrating or oil based foundations as this will encourage oil production and shine on the skins surface. Napoleon Perdis China Doll Foundation $69 is a long wearing, buildable liquid foundation which sets to a soft velvet finish. Use a pore minimiser/mattifier for oily areas and a lighter weight foundation which isn’t heavy in oils. NARS Luminous Weightless Foundation $76 has 16 hours of full coverage wear, weightless feel, radiant finish and comes in 16 shades. For you lucky people with normal skin type you can basically wear whatever foundation your heart or face desires! 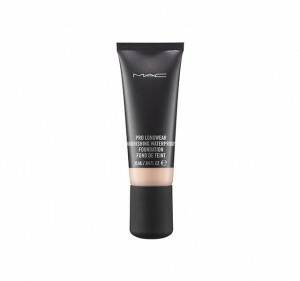 If heavy duty is what you’re after I highly recommend MAC Pro Long Wear Nourishing Waterproof Foundation $54. It’s waterproof, it’s tear proof and boasts a very impressive 24 hours coverage. Start with a little foundation on the back of your hand, work a small amount of the product into your brush and apply in a dabbing motion onto your face. Start from the side of your nose and work outward, down to your chin, under your eyes and over your forehead. Then go back over in a circular buffing motion, this helps to prevent the foundation from settling into fine lines and wrinkles and creates a soft, polished finish. Remember, less is more when it comes to foundation. It’s always easier to build your foundation than it is to remove excess. I generally like to conceal after applying foundation, reason being your foundation already covers a lot of spots, redness or problem areas. By applying concealer after foundation you use less product, which means less makeup on your face avoiding that “cakey” look and let’s face it, you’re saving money by not wasting concealer. 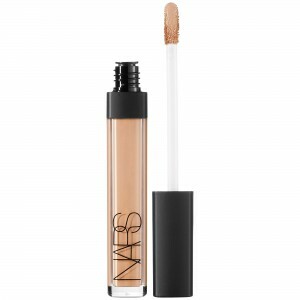 NARS Radiant Creamy Concealer $40 is light weight with a buildable coverage, long wear and crease proof. Setting your foundation is a very important step when achieving long lasting foundation. 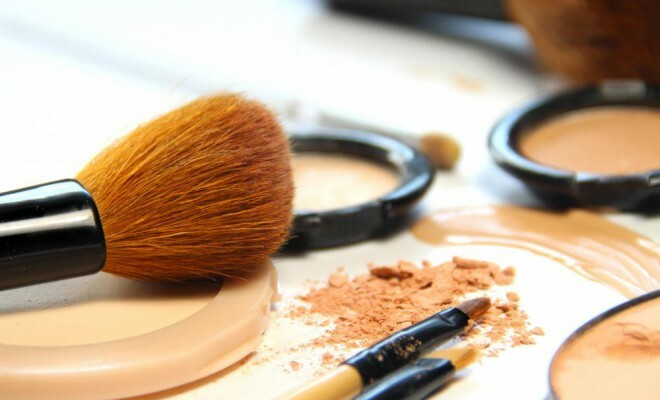 I always set liquid foundation with either a powder foundation or a translucent powder, this helps to prevent the foundation from moving and building in creases and wrinkles, it is also detrimental in mattifying and preventing shine. 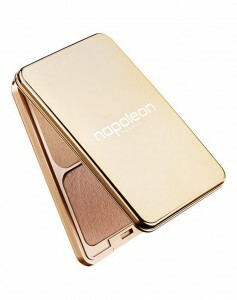 I really love the Napoleon Perdis Camera Finish Powder Foundation $69. It comes in 10 different shades, the great thing about it is you can either match it to your foundation or go a shade darker to add more warmth so there is no need to add bronzer. 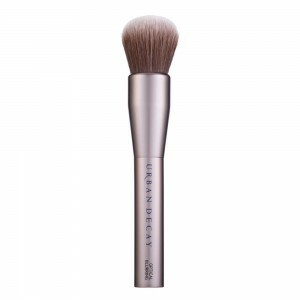 Apply using either a powder brush or a sponge applicator for fuller coverage. And your base is done. You can walk out the door knowing that foundation is staying put for the entire day. Anita Mariniello is the make-up writer for The Merry Go Round. She is the founder of Polished Make-up and trained at the Napoleon Perdis Make-up Academy. She is fond of cats, cacti and tacos. ← Previous Story Match your make-up with your outfit!